Home › Node.Js › How can Install MongoDB and Create Database? If you cannot do it please close the website and turn off your pc and do something else as you are not qualified for developing. (Just kidding) if you have difficulty to download or install, please click here to see the video which I uploaded on my YouTube channel. 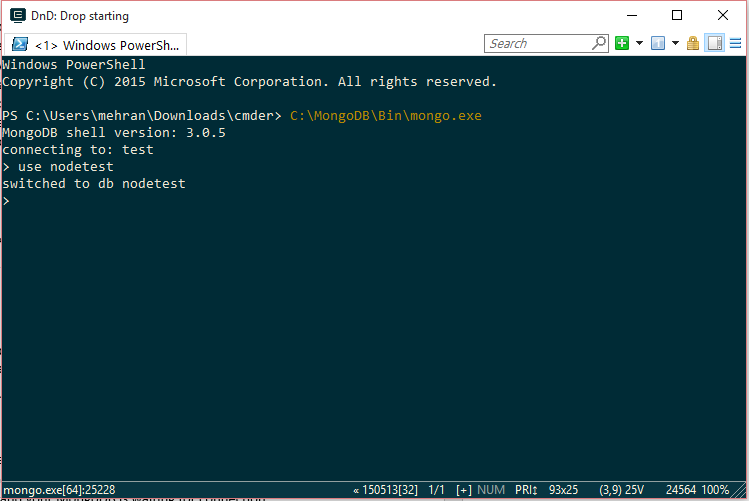 After you install, you need to run your MongoDB server, it is very easy. Note: dbpath is the address of data folder, so maybe your data folder address is different from mine, please change it accordingly. 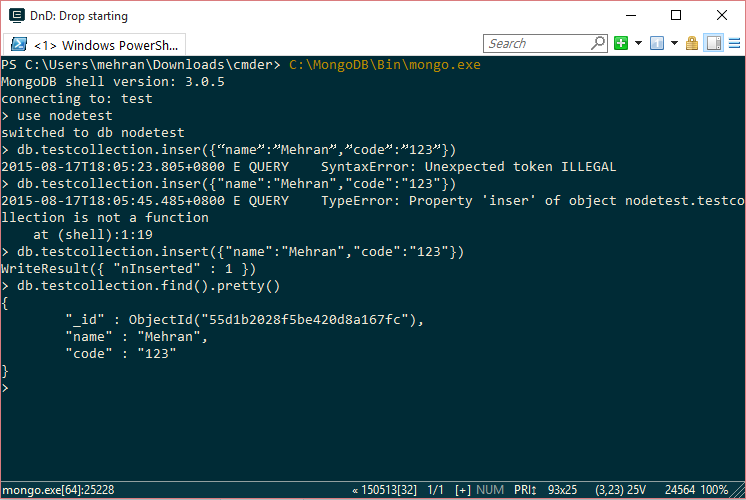 Note: In some cases I saw that mongod does not work, so for this case you need to key in the full address of mongod.exe, actually mongod is exe file in bin folder!!!! Note: it may take a few seconds to a few minutes for command to be finished so please be patient. 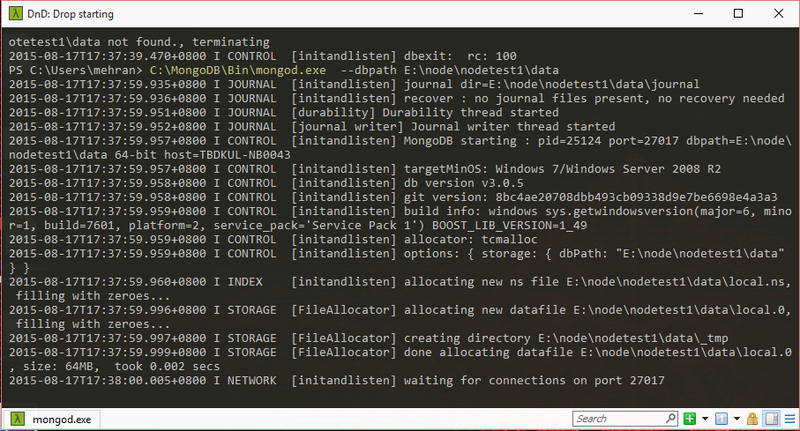 After you ran the command you could see a few files and folders are created in Data folder and also in your command prompt window you can see MongoDB is waiting for connection. It means you are in a right direction and your MongoDB is waiting for connection. Basically json format is very simple and understandable for human. How can we add record to our database? In the above command, testcollection is a user defined name for the collection. It means you can change it as you want. This collection looks like and array and keep all the records. Above command must be ran in mongo shell. (Same as step 5). How can we retrieve records? in the next post I will teach you how to retrieve data from MongoDb and show it Html file by using Node.js. How can Install MongoDB and Create Database? | Dinesh Ram Kali.